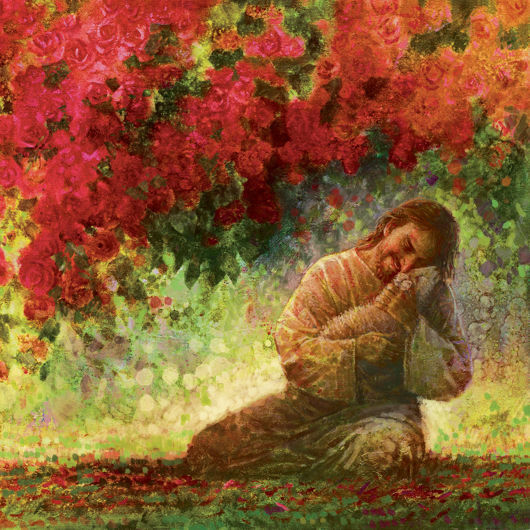 When I first saw this painting, I was moved by the beautiful colors and the new perspective of Jesus Christ. 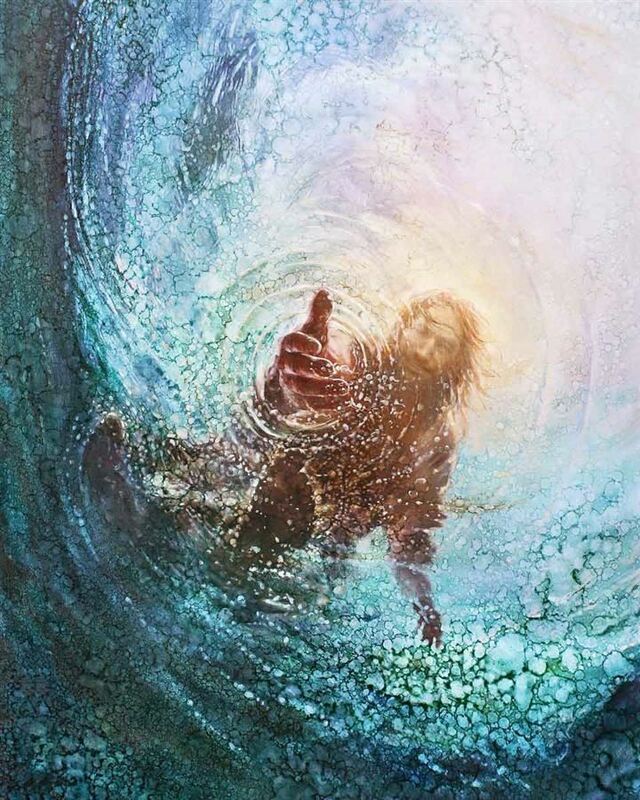 Then I realized that this is what Peter would have seen when his faith faltered as he attempted to walk on the water calling out as he sank, "Lord, save me!" 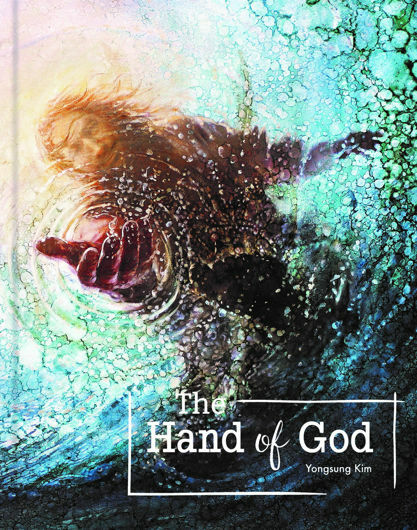 The hand of Jesus reaching into the water for Peter should give each of us some comfort. 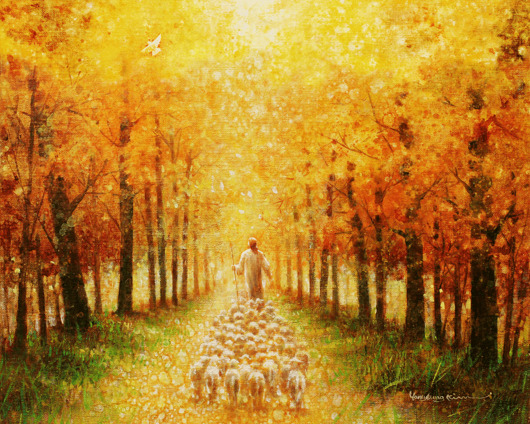 We each have failed in someway on our path to be like Jesus and He is always there for us. 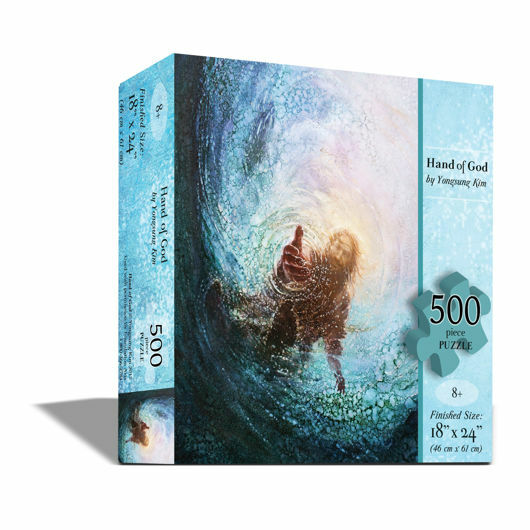 We just need to reach out and grab His hand.